We are highly specialized construction company in the field of reinforced concrete structures of enclosed objects and bridges. We are present at many major construction sites in the country. At the moment we are participating in the implementation of the two longest objects in Poland: MA-91 and WA-458, which together have more than 3600m in length. 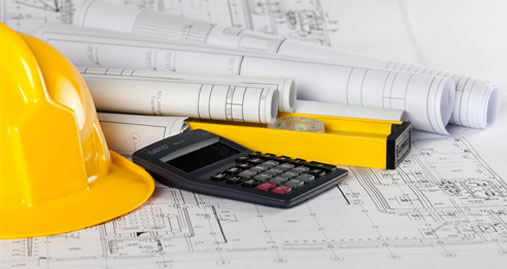 Today our company employs experienced engineering - technical staff as well as reinforcement carpentry brigades amounting to more than 500 people, which sets us among the top companies operating in the reinforced concrete sector. G&M was established in 2001. Until 2005, the company’s core business was prefabrication and installation of reinforcements for the construction sector. Following the 2006 transformation from G&M S.C. into G&M Sp. 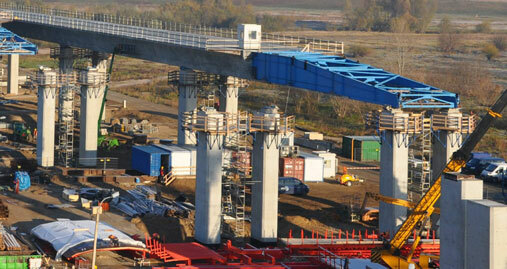 z o.o., our chief line of business has comprised comprehensive reinforced concrete works on bridge construction sites. Today, G & M company employs experienced engineering - technical staff as well as reinforcement carpentry brigades amounting to more than 500 people. We do the assembly of reinforcements, comprehensive concrete-reinforcement work, in particular bridge facilities, cubature as well as finishing works of bridges such as mounting kerbs, barriers, anchors, stairs, bearings, expansion joints, retaining walls T-Walll. Freyssisol, gravel cover for supports. Since 2013 we started the cooperation with Skanska in Sweden. It was the first international project realised by our company. In 2014 we signed the contract with Bilfinger JV for realisation of the bridge FARRIS BRUA in Larvik, since that moment we have concluded several further contracts abroad and we started the cooperation with other foreign companies. At present, we work in Poland, Sweden, Norway, Iceland and we begin work in Finland. In November 2015 we implemented ISO System successfully and received the certificates ISO 9001, 14001 and OHSAS 18001. Construction of an apartment building, Iceland – Hrolfsskalamelur.